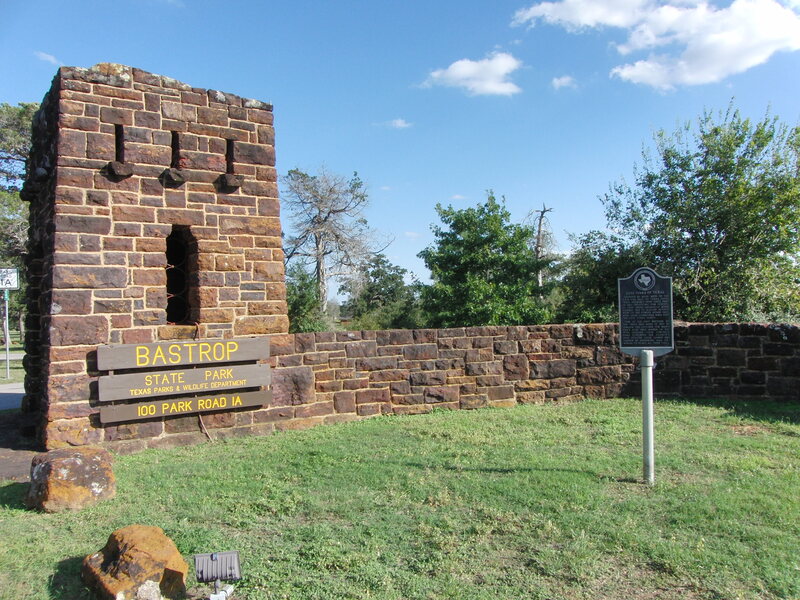 Bastrop State Park is one of the most beloved parks, and it’s easy to see why. It’s absolutely beautiful! The park and it’s staff offer many activities to keep everyone happy! The park’s close vicinity to Austin means that the park stays busy, especially on weekends and holidays. Plan ahead to assure a camping spot! The Bastrop YMCA maintains a pool in the park that is open during the summer. Swimming, fishing and canoeing is available in Lake Bastrop. The park rents canoes. Bring your golf clubs to play 18 holes at Lost Pines Golf Club. The good news is that there are plenty of tent and RV camping sites, and they are nice and shaded! There are also 14 cabins available. There are numerous hiking trails, however you must beware of falling trees and limbs in the fire ravaged areas. 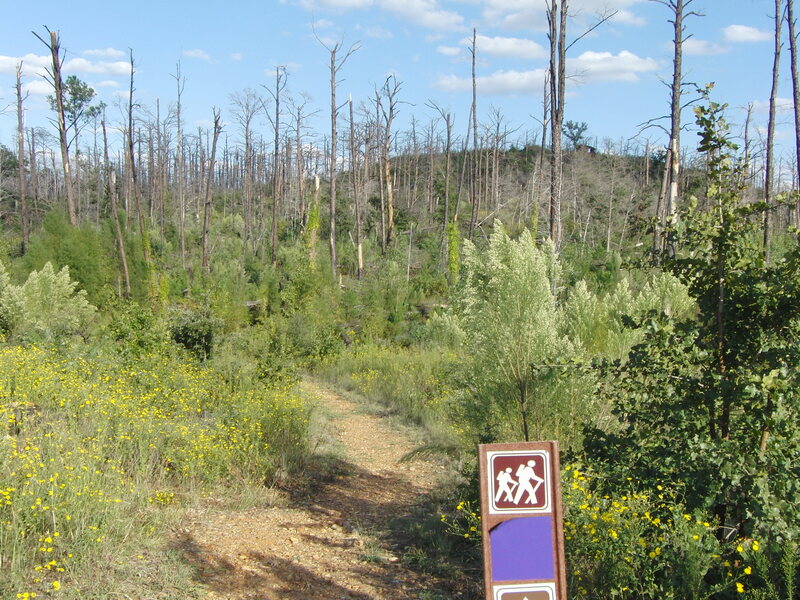 Bastrop and Buescher State Park are part of the Lost Pines, an isolated stand of pine trees in Central Texas. 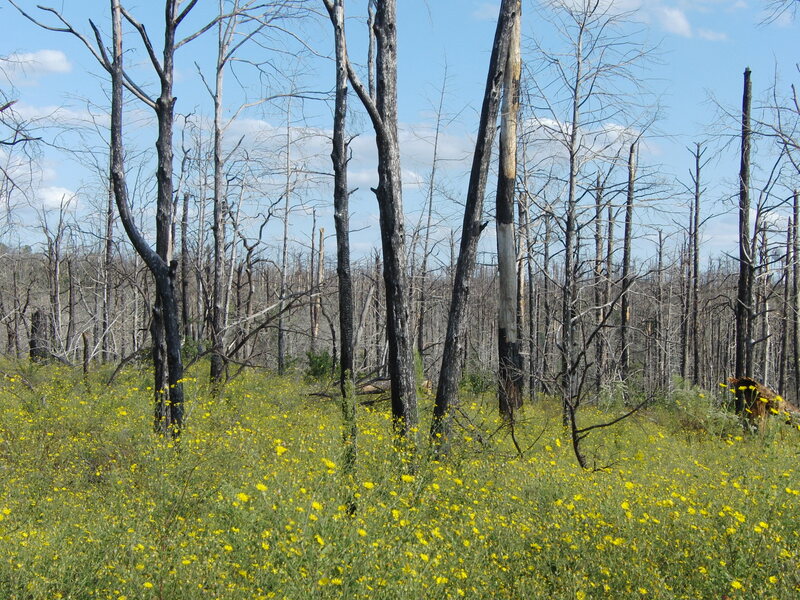 In 2011, a wildfire consumed much of the park during the extremely dry summer. Park staff and volunteers had worked to replant the pine growth. It’s amazing to see the new life coming from the ashes of the destruction! 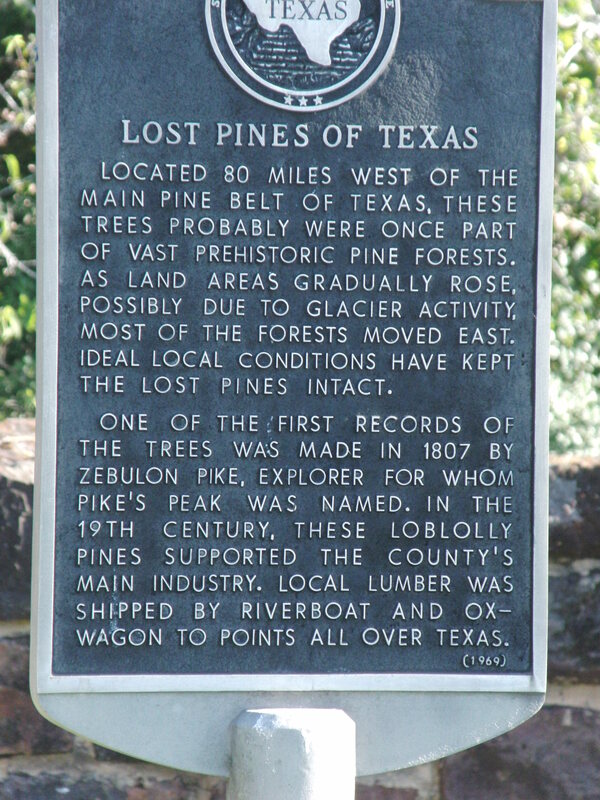 For more information, visit the Friends of the Lost Pines Park website by clicking HERE. Already under serious threats, the Houston Toad suffered during the 2011 fire. For more information on this native Texan toad, click HERE.